Libraries of the 21st Century: How Publishing, Research and Libraries are Changing. And Aren’t. Christine Wenderoth joined the faculty of the Lutheran School of Theology at Chicago in 2004 as Director of the JKM Library. She also serves as associate professor of ministry. The JKM Library houses one of the largest theological collections in the United States and is owned and operated jointly by McCormick Theological Seminary and the Lutheran School of Theology at Chicago. Wenderoth graduated from Oberlin College, Oberlin, Ohio in 1971, and received her Master of Science in Library Science (M.S.L.S) from the University of North Carolina at Chapel Hill in 1973. She completed her M.A. in Theological Studies at Emory University, Atlanta, in 1978, and received her Ph.D. in Theological Studies from that same university in 1982. 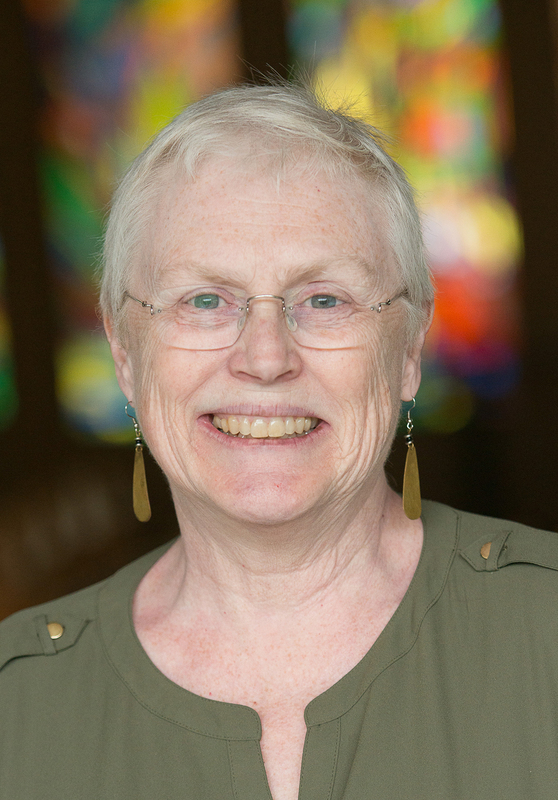 Following her ordination in 1994 as Minister of Word and Sacrament by the Presbytery of Greater Atlanta, Wenderoth served for ten years as Director of the Ambrose Swasey Library and assistant professor of ministry at the Colgate Rochester Crozer Divinity School, Rochester, NY. During that time, she also served as parish associate at New Life Presbyterian Church, and as an active member of several committees of the Genesee Valley Presbytery. Prior to this, she served on the faculty and staff of Columbia Theological Seminary in Decatur, Georgia. Wenderoth’s teaching, administration and research interests include the role of gender in administration and leadership, disordered eating and its relation to gender and sacrament, the impact of technology on community, librarianship as ministry and instruction, and teaching, learning and research as it occurs outside the classroom. She has served as an advisor to the National Leadership Team for American Baptist Girls, and serves on the editorial board of the Journal of Religious and Theological Information. 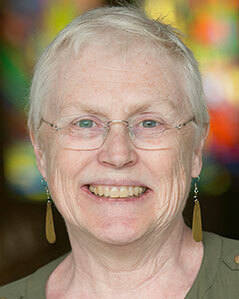 She has twice served as a member of the Association of Theological Schools Accreditation Visiting Teams. An active member of the American Theological Library Association since 1982, Wenderoth served as its vice-president in 2004-2005 and as president in 2005-2006. Her work has been published in a wide range of publications including The Clergy Journal, Currents in Theology and Mission, Religious Studies Review, Religious Education, Encounter, Pastoral Psychology, and the Dictionary of Pastoral Care and Counseling. “They Shall Become One Flesh: The Why’s, How’s and Wherefore’s of Library Mergers, in Summary of Proceedings, Sixty-seventh Annual Conference of the American Theological Library Association (2013). “Good Reading by the People of the Book” in Currents in Theology and Mission, 40:4 (August 2013): 235-241. “Reading Backward, Reading Forward: ATLA Panel on Theological Reading and Learning,” in Summary of Proceedings, Sixty-sixth Annual Conference of the American Theological Library Association (2012): in press. Review of Now You See It: How the Brain Science of Attention will Transform the Way we Live, Work and Learn, by Cathy N. Davidson in Theological Librarianship, vol.5, no. 2 (2012): 99-100. “Speed Weeding” in Summary of Proceedings, Sixty-fifth Annual Conference of the American Theological Library Association (2011): 393.
Review of In the Midst of Chaos by Bonnie J. Miller-McLemore, in Religious Education, vol. 103, no. 3 (May/June 2008). "Books and Bytes", The Clergy Journal, vol. 84, no. 5 (March 2008): 39-42. Paper, Research Behaviors of Theological Educators and Students: the Known and the Unknown, in Summary of Proceedings, Sixty-first Annual Conference of the American Theological Library Association (2007): 178-183.
Review of Engaging Technology in Theological Education, by Mary Hess, in Journal of Religious and Theological Information, vol. 7, no. 2 (2005): 111-114.
Review of Dimensions of Forgiveness, Ed. by Everett Worthington, in Religious Studies Review [in press]. Review of In Her Own Time, by Jeanne Stevenson-Moessner, in Religious Studies Review, vol. 27, no. 2 (April 2001): 148-149.
Review of I Don’t Want to Talk About It, by Terrence Real, in Rahab’s Wall. Review of Weaving the New Creation, by James W. Fowler, and Stages of Faith and Religious Development, by J. Fowler, K. Nipkow, and F. Schweitzer, in Religious Education, vol. 89, no.1 (Winter 1994).